Are Millennials Within Your Email Reach? Definitely. They’re now in their late teens to mid-thirties. There are more than 75 million of them in the United States – making them, according to the U.S Census, the largest living generation of Americans. They have an estimated annual buying power of more than $200 billion. They are, of course, the Millennials (aka Generation Y). So, the $200 billion question for today is: can your email marketing successfully engage them? Email has evolved beyond static content delivery to a live data experience, which can help neutralize this generation’s distrust of traditional advertising and marketing techniques. A recent study of 1200 U.S. consumers has good news for brands that rely on email marketing to reach young people. It found that nearly 68 percent of the teens and 73 percent of twenty-somethings they surveyed prefer communications from businesses to come via email. We’ve been chronicling the growth of mobile opens on this blog for some time. In a recent post, we reported that an average of 66% of emails across seven industries were opened on mobile devices. In fact, for a growing number of young people, their mobile device’s screen is their only screen. ComScore reports that one-fifth of Millennials don’t use a desktop PC at all—but 97 percent are mobile users, whether they use their mobile devices exclusively or consider themselves multi-platform users. A third reason to be optimistic regarding using email to communicate with Millennials and their younger counterparts is the changing nature of the medium itself. 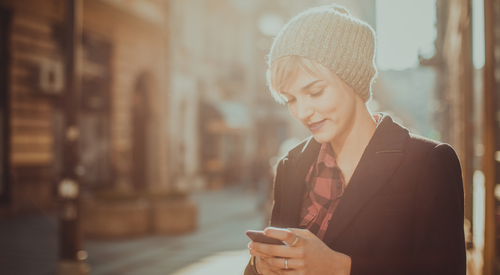 By moving email beyond static delivery and into live content, personalization and contextual user experiences, we can give Millennials exactly what they want, when they want it. This entry was posted in Email Marketing on May 11, 2016 by Amy Mullen.